CEO and co-founder of Fundera, the most trusted marketplace for connecting small business owners with the best funding provider. No matter where you launch your business, you're going to have be careful and smart about handling a commercial real estate purchase. And that starts with knowing the ins and outs of commercial property loans. By learning how to navigate the commercial mortgage process, you'll understand what it takes to get the best rate and terms. This way, you can save a significant amount of money in the long run, leaving you extra capital to do what you set out to do: grow your business. 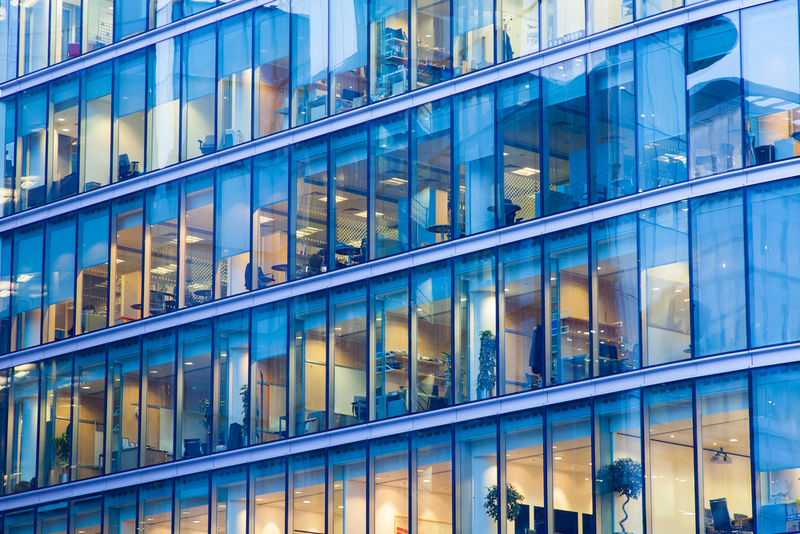 Commercial real estate is defined as real estate used solely for business purposes, and can include everything from retail stores and office space to hotels and apartment buildings. Commercial real estate loans are often issued to business entities like a limited liability company or S-corporation rather than individuals. These types of loans are put towards the purchase of new or existing commercial properties or land. The amount and terms of each loan vary by location, business type, and credit score. The total amount financed can literally range from a few thousand dollars to tens of millions. The length of the term can vary widely too, with repayment periods spanning anywhere from 3 to more than 20 years. Major lenders typically require a down-payment between 20 - 30% of the purchase price, which means a loan-to-value (LTV) ratio of 70 - 80%. For many, especially small businesses that have just opened, coming up with this capital might be an issue. Fortunately, there are other money sources, like crowdfunding, if you can't meet the terms of traditional lenders. You certainly want to do your research, because comparing offers you get from different lenders can save you lots of money. Keep track of your resources and discuss the decision with relevant colleagues, and choose the loan offer that makes the most sense financially and that'll help you achieve your long-term business goals. Intermediate-term loans last 3 years or less, while long-term loans last from 5 to 20 years. Note that long-term loans might require collateral or place limits on your ability to take on financial risk. Also, you should understand that a commercial real estate loan can be issued as a balloon loan or an amortized loan. The key difference here is that a balloon loan requires you to give one final large payment at the end in order to cover the remaining principal, while an amortized loan is repaid in fixed installments until finished (with varying amounts going to the principal and interest). Balloon loans are usually for intermediate-term loans, though some financial institutions offer 10-year balloon loans for commercial real estate. If you consider a balloon repayment option, you'll want to realize that this final payment could be high. Only go for that type of loan if you can spare the cash--or are willing to refinance--when the loan reaches the end of its term. The exact interest rate you get depends largely on your business income and financial health. Commercial mortgage rates are generally a little higher than residential mortgages due to the higher risk of lending to companies (especially new ones), short credit history of most applying businesses, and the lack of recourse lenders have if the loan is not repaid. Other types of lenders, like hard money lenders, have much higher interest rates (usually well over 10%). Only use these for extremely short-term loans when cash is desperately needed. You'll have to pay upfront fees for commercial real estate loans in order to cover the appraisal, inspection, environmental assessment, title insurance, legal expenses, underwriting services, and other associated costs. Generally speaking, the total amount of upfront fees should be between 0.5 and 2%. Always be clear on what you are expected to pay by getting a breakdown of all costs--and be wary of hidden costs added on by lenders. Some have been known to charge higher-than-usual application fees or add on other seemingly legitimate expenses just for the sake of making an extra buck. Why is the SBA a Popular Lender? The U.S. Small Business Administration (SBA) only requires a 10% down-payment. This loan, known as the CDC/504 Loan, is meant for the purchase of fixed assets. Almost any kind of business can apply, as long as a feasible business plan and management expertise are demonstrated, and certain eligibility requirements are met. Some notable requirements are that your business must be worth less than $15 million and have a net income of less than $5 million (after taxes). You also must prove ability to repay the loan through projected cash-flow data, and you must show you cannot get business funding from other sources--both business and personal. This SBA loan can be either 10 or 20 years, and gives borrowers a fixed rate instead of the prime lending rate preferred by big banks, which can go up. This rate is locked at an increment above the current 5- and 10-year U.S. Treasury yields. This makes calculating the exact amount to be repaid much easier, simplifying your financial decisions. Commercial mortgages go through a bit more scrutiny from underwriters than traditional residential loans do, and it can easily take 45 to 90 days to complete an application. So before you even apply, prepare your financial statements from the past 3 to 5 years. This should include asset statements, corporate accounting reports, tax returns, and other relevant financial information, along with your own personal financial records. As with any major purchase, you'll want to shop around. Compare rates and terms from three different lenders, being sure to choose the one that will best position you to achieve your business goals. While lenders will make sure you have a great potential debt-service coverage ratio--or simply the amount of operating income you have available to cover debt expenses--you want to be certain that you'll have adequate cash flow to take the business to where you want it to go. If future cash flow is a concern, leasing for the time being may be the better option. Before you sign on the dotted line, you want to be absolutely certain the property and loan are right for you. Not only should the property have a great location for increasing revenue, the loan should give your company the financial flexibility and space it needs to excel. Additionally, the real estate itself should be a worthwhile physical investment--one that will grow in value along with your company. That way, when it comes time to upgrade to something bigger, your commercial property will provide you with the kind of return that makes expansion much more seamless.